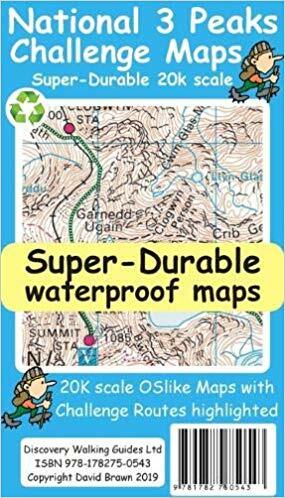 ISBN 978-1-904946-81-6 £8.99 - 112 pages full colour photos, sketch maps with routes for Ben Nevis Scafell Pike and Snowdon, perfect bound; Ordnance Survey Explorer 25,000 scale maps of the ascent/descent routes on Ben Nevis, Scafell Pike and Snowdon. 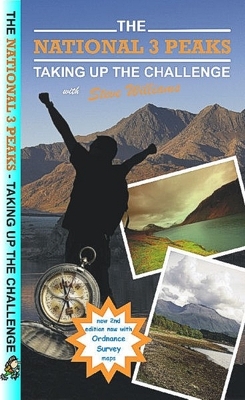 This then is their story, plus suggestions on training, walking routes (including GPS records from the actual paths walked), driving routes, navigation, equipment, meals, and accommodation. Their Challenge Plan ran to 11 pages of text and checklists. It is included for you to copy.